Friends! It's a big day here! Today marks the day of a fresh start for this little blog and my business. 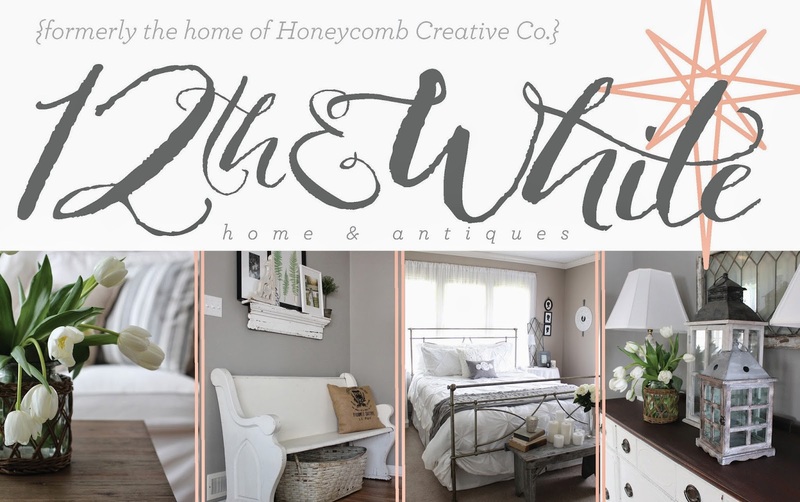 Today we are beginning the transition from the names Honeycomb Creative Co. and A Prairie Market to the blog, etsy shop and antiques business all being under the umbrella of our new name...12th & White! This has been something that's been in the works for over a year, first in my mind and then working with an incredible designer and friend, Stephen Floyd, to make it come to life. I chose my blog name long ago, not really sure where things were headed. It has served me well for more than four years, but it's time to make a step in branding my creative business with purpose. Over the next few weeks you will see things transition here on the blog as the site gets a facelift and new URL. We'll also be working to update all the social media outlets, so keep in mind when you see 12th & White over on Facebook, Pinterest and Etsy, it's still me just flying under a new flag. I had toyed with names for some time, and this one came to me as Matt and I were about to fall asleep one night. The second I said it aloud we both knew it was perfect to carry forward my business in the coming years. The number 12 is meaningful to me personally, and you all know white is my signature color, so the name fits like a glove and sounds a bit more grown up. Vintage Sale Coming September 6! Along with the re-name, I can finally announce a few more details on the upcoming sale I mentioned back here. The annual 12th & White Vintage Sale will be held Saturday, September 6, in the 13th & Woodlawn area of Wichita, KS (specific location will be released closer to the sale). We'll be open from 10 a.m. to 4 p.m.
One of my good friends and very talented furniture painter Joey will be partnering with me for the sale, so you can expect lots of hand-painted antique furniture, vintage finds of every variety, antiques, new home decor and lots of shopping fun! I'll have my favorite pieces including architectural salvage, ironstone, old scales, wire baskets, typography and signage, storage pieces, and lots and lots of eye candy! So please save the date! We would love to see you on September 6! 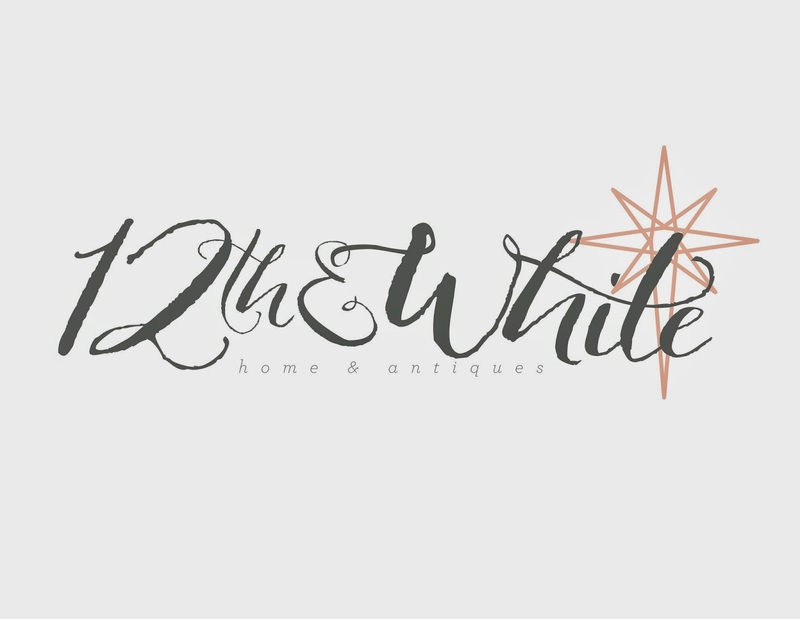 You can follow progress of the sale and get a peek at available goods by following #12thandwhitesale on Instagram and Facebook. Here's to fresh starts and new names!